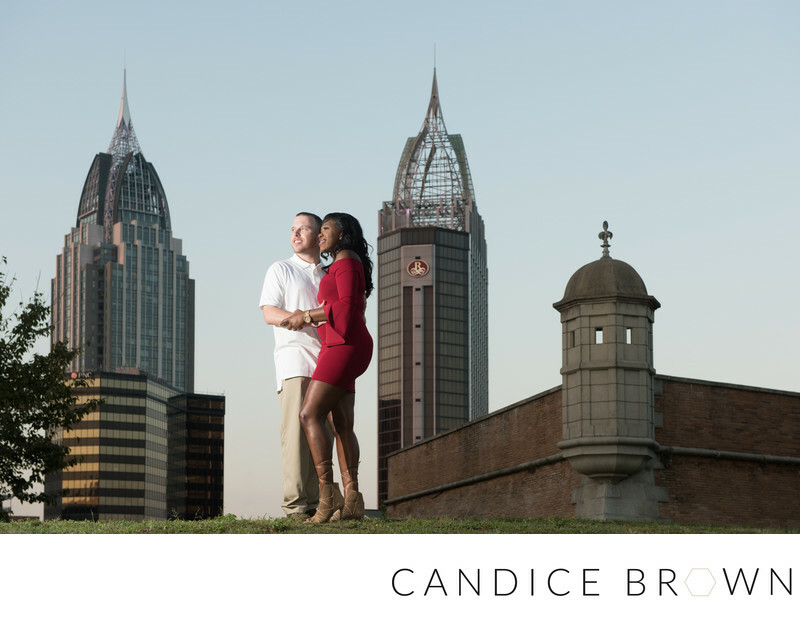 Gorgeous couple poses for engagement portraits with the city of Mobile, AL in the background. Fort Conde, The RSA Tower, and Riverview can be seen. Location: 150 S Royal St, Mobile, AL 36602.